Inner-City Arts (www.inner-cityarts.org) is an organization based out of downtown Los Angeles that partners with the Los Angeles Unified School District to bring art education to underserved students. This award-winning group offers a campus in LA’s Skid Row neighborhood, which gives students a chance to explore their talents and express themselves through art projects. Sunday, September 24, 2017, 8:00 a.m. - 11:00 a.m. in Century City, 1800 Avenue of the Stars, join the Greater Los Angeles Chapter Association of Legal Administrators (GLA ALA) proudly partnered with Court Appointed Special Advocates (CASA) of Los Angeles for the 10th Anniversary of the Justice Jog 5K/10K Run/Walk! The Bar will not have its First Friday Lunch in September. First Friday monthly lunches will resume in October, with the next one on October 6, thanks to our new Immigration Section. Join the SMBA for a moderated discussion with three of the greatest litigators and legal minds of our time: Carl Douglas, Shawn Holley, and Laura Wasser. Carl is best known for his work as the Coordinator of O.J. Simpson’s criminal defense. Shawn has represented or currently represents Kanye West, Justin Bieber, Lindsay Lohan, Nicole Richie, Paris Hilton, Michelle Rodriquez, and the Kardashian/Jenner family. 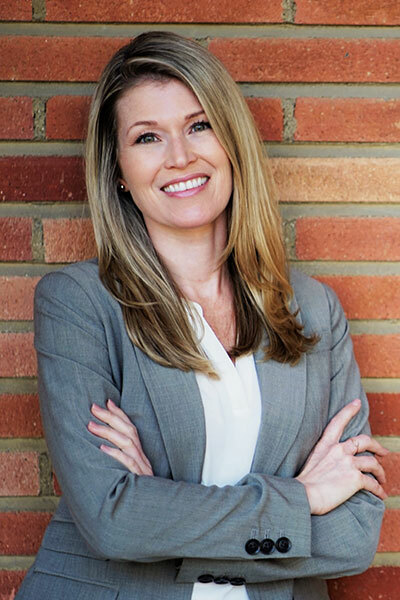 Laura is one of the premier family law attorneys and has represented Angelina Jolie, Heidi Klum, Kim Kardashian, Ryan Reynolds,Christina Aguilera, Britney Spears, and Maria Shriver. The event includes a reception, the panel discussion, and a private gallery tour. The panelists will answer questions and share some insight about their methods that elevate the critical function of crafting an argument to an art form. Attorneys and non-attorneys alike will be entertained and intrigued by their perspective and insight. These experts have donated their time to an event that will expand the minds of the audience and which supports a wonderful cause. All proceeds will benefit an arts charity that serves underrepresented communities in Los Angeles County. To attend, you must register in advance here. 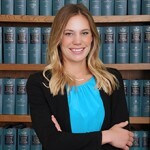 The Santa Monica Bar Association recently held its annual summer elections at the Red O Restaurant in Santa Monica, voting in business litigation attorney Jennifer Millier as President Elect and two new Board of Trustee members, probate litigation attorney Megan Waugh and CEO of a medical expert consulting firm Ashleigh Bhole. Jennifer is an established trial attorney representing employers and manufacturers in disputes involving business, employment and real property matters. Megan’s practice focuses on a variety of civil litigation matters including elder law, probate, wills, trusts, and conservatorships. Ashleigh is an attorney and the founder of Ace Callen, LLC, a medical expert management and consulting firm. Prior to starting her own company, Ashleigh was with a national law firm practicing in the areas of healthcare and insurance fraud and complex commercial litigation. Congratulations to our newly elected Board Members and President Elect! Come to our Annual Installation Dinner at the Jonathan Club's Beach Club this October and welcome all of the new members and officers, including current President Elect Alejandro Herrera, to their terms. Check back to the SMBA website soon for the date, details and registration. Meet ASU for lunch on Friday July 14th from noon to 1:30 p.m. and earn 1 hour Bias CLE Credit. Visit asulawcle.com or click here for more details. The Annual LA City Club Young Executives Committee's/Langston Young Lawyers Committee & IMW "Chari-oke" (Charity + Karaoke) event for the LA Metro Boys & Girls Club. The date is Saturday, June 17, 2017 @ 6:00 p.m. The address is the Los Angeles City Club 555 S. Flower St. 51st Floor (213) 620-9662. Proceeds will benefit the LA Metro Boys & Girls Club. City Club membership specials will be offered to all in attendance and parking validated for $8. This event will be awesome (imagine raising $ through karaoke in an elite private business club on the 51st floor in DTLA around sunset) and SELL OUT! Please RSVP ASAP at https://cclacharioke.eventbrite.com and feel free to share the invite through your respective networks. Please contact me with any questions. The Court's Diversity Committee invites SMBA members and others to Save-the-Date for the Court is again sponsoring a "How to Become a Judge" event at the Mosk Courthouse. The summit will take place Saturday, June 3, 2017. The event is open to all. The Court will provide free parking and a continental breakfast. Formal invite and RSVP forms will follow shortly, keep checking our news posts here at SMBA.net.